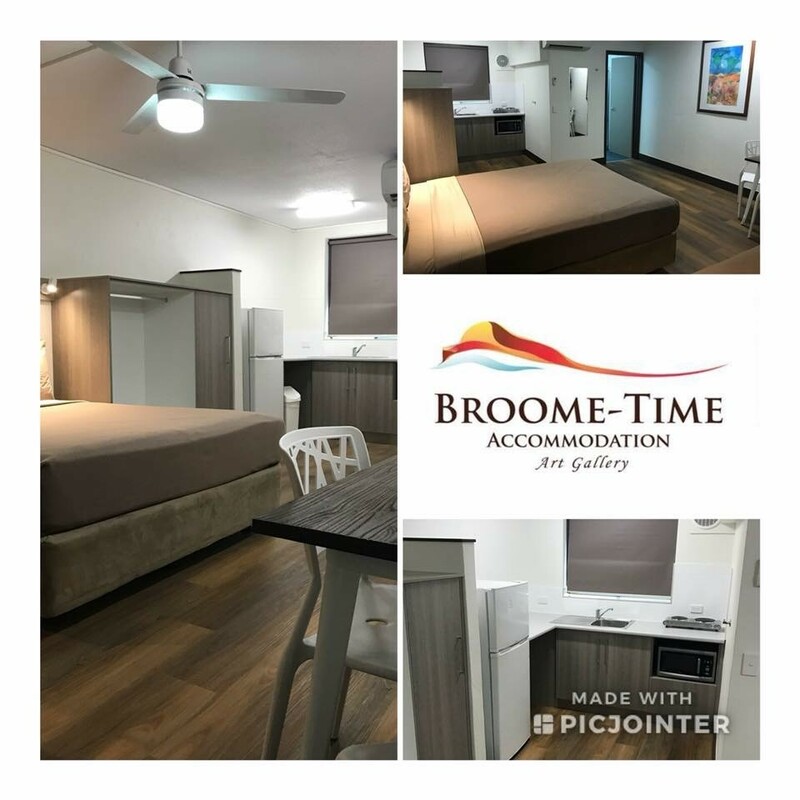 Broome Time Resort is centrally located on the Broome Peninsula between Cable Beach to the West and China Town/Old Broome and Roebuck Bay to the east. Opposite the Broome Recreation and Aquatic Centre are 58 self contained Studio & Family Rooms set amongst established tropical gardens with a sparkling free form pool and a spacious outdoor garden dining area with free use gas BBQ's, great for socialising with family and friends. 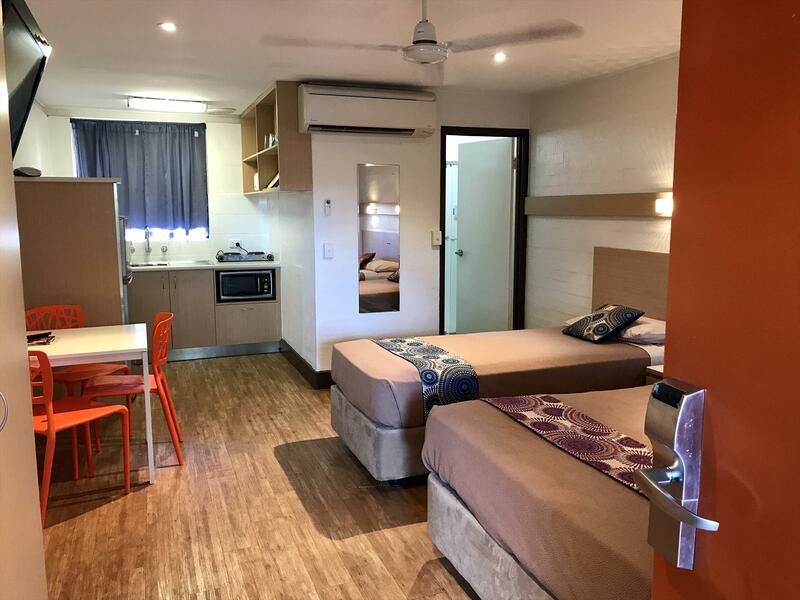 Broome Time Resort is your ideal location for easy access via Broome Bus Service to Broome's many tourist attractions, restaurants, galleries, shops and beautiful beaches. Our knowledgeable and friendly team are pleased to help with selecting tours of Broome and the Kimberley and can assist with car hire and personal recommendations for many of Broome's beautiful attractions. We aim to make our guests stay in Broome a most enjoyable and memorable experience. Our Deluxe King Rooms offer modern facilities. 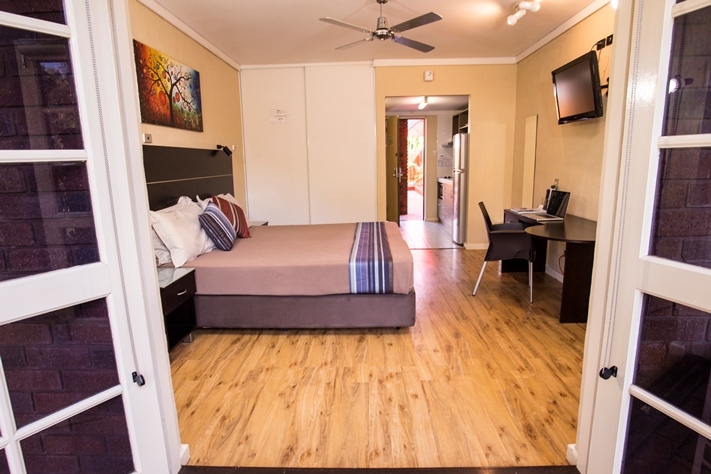 All rooms are appointed with a private balcony or courtyard, king size bed, work desk, kitchen ensuite, 32" flat screen TV with DVD player & free wireless internet access.